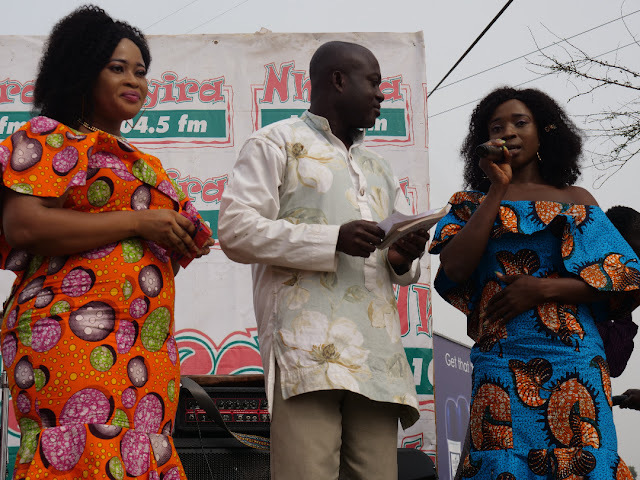 Fast-rising Ghanaian gospel music duo, Sabii and Mat dished out an emphatic performance at the 2018 edition of ‘Nhyira Abodoo’ organized by Nhyira FM in Kumasi. The event which was organized to put smiles on the faces of the needy in the society—saw Sabii and Mat giving out their best by performing their trending song ‘Oteasefo Nyame’ and other songs composed by them. Sabii and Mat, who are under Delaly Recordz did not disappoint patrons of the event—because they were seen singing along amidst dancing. Looking at their composure and attitude towards work, everything shows clearly that Sabii and Mat are ready for business.